I’m not sure which is scarier — the fact that I heard the telltale “bum bum” in my head upon seeing this, or that I knew just what part of the dance it was from? Either way, I gotta post it. 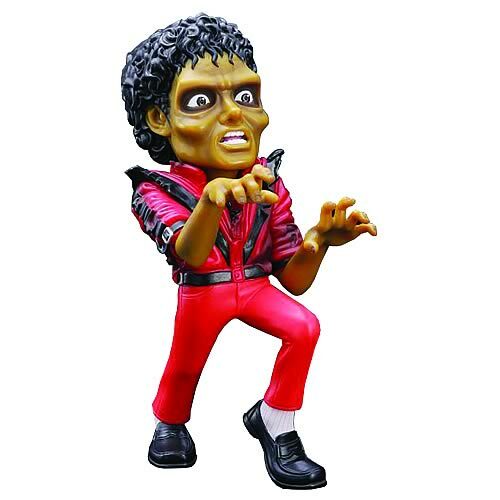 Oh and, the non zombie version – Michael Jackson King of Pop Thriller Figure for fun. Next Post Teh Awesome Obama v. Vader!